For most lawyers, going to court to represent clients is a thing of joy. Many legal practitioners believe that if you are not in litigation, you are not in legal practice. Indeed, both oral and written advocacy in court can be very career-fulfilling and rewarding too. But does a lawyer who also applies the option of arbitration and ADR (Alternative Dispute Resolution) to resolve disputes rather than use the heavy-traffic litigation lane not a lawyer too? According to the Rules of Professional Conduct 2007, rule 15(3)(d) requires that “[a] lawyer shall not fail or neglect to inform his [or her] client of the option of ADR mechanisms before resorting to continuing litigation on behalf of his [or her] client”. Arbitration and ADR enjoys legislative backing in the Arbitration and Conciliation Act (ACA). Embracing arbitration and ADR is not only legal but also a professional duty we owe our clients. So why then are you not an arbitration & ADR lawyer yet? 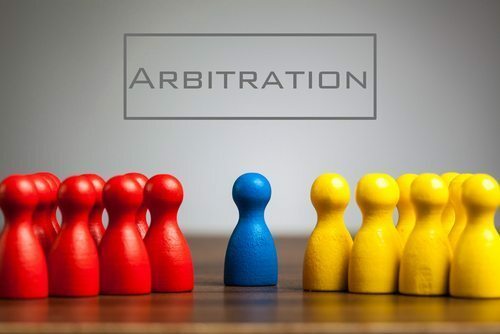 In this article, I will introduce you to arbitration and ADR and hope you explore it as a ladder, helping you attain new heights in 2019 and beyond. ADR is simply modes of resolving disputes without going to court. Before going to court, a lawyer may first explore one of the modes of ADR to resolve disputes on behalf of their clients. These ADR modes include Arbitration, conciliation, early neutral evaluation, mediation, negotiation, and a hybrid mode such as Med-Arb, combining mediation and arbitration. All of these mechanisms are means of resolving disputes other than by litigation, thus alternative dispute resolution. This is why the term ‘Alternative Dispute Resolution’, according to the Black’s Law Dictionary (6th Edition) “refers to procedures for settling disputes by means other than litigation; e.g; arbitration, mediation, mini-trials. Arbitration is a mode of ADR. Being the closest mode to litigation, arbitration is distinctively more formal and arbitral awards are binding. Arbitration is a method or procedure whereby parties agree to be bound by the decision of the umpire, called the Arbitrator, whose decisions is final and legally binding on both parties. Of course, the arbitrator may be more than one, depending on the parties’ agreement. So essentially, there must be an agreement to arbitrate. This agreement is referred to as the ‘Arbitration Agreement’. It states that in the event that a dispute arises between the parties, arbitration should be considered first before either of the parties go to court. Even if the parties have no arbitration agreement, they may still voluntarily submit to arbitration. This is called ‘Submission Arbitration Agreement’. For both arbitration agreement and submission arbitration to be valid, the key thing is that it must be stated in writing. This gives the arbitrator or arbitrators to be appointed jurisdiction over the subject matter of the dispute. What are the forms of arbitration? Domestic Arbitration: this is basically a dispute between parties doing business in the same jurisdiction and are governed by the laws e.g Nigeria Arbitration and Conciliation Act (ACA). Institutional Arbitration: dispute referred to Arbitral institution such as Lagos Court of Arbitration, London Court of Arbitration, Stockholm Chamber of Commerce, International Chamber of Commerce, etc. International Arbitration: this is usually legal and diplomatic, and the state involved must consent to settlement through the signing of a special treaty to submit to arbitration called the ‘compromis’. It also includes the proviso in the treaty that deals with a certain set of issues in which the parties agree in advance that any future dispute that may arise be submitted to arbitration at the request of any party which is called a ‘Compromissory Clause’. Parties involved are usually interstate and investor-state disputes where they carry on business in different countries or where the parties agree that the dispute be treated as an international arbitration. Example is the Permanent Court of Arbitration located in Hague and is the main international arbitration institution which hears disputes between foreign investors and interstate disputes. International dispute are centered on investment disputes and the applicable rules are International Centre for Settlement of Investment Disputes (ICSID) or the United Nations Commission on International Trade Law (UNCITRAL) rules. Examples of international arbitration rules include the International Chamber of Commerce (ICC), the London Court of International Arbitration (LCIA), the rules of the Singapore International Arbitration Centre (SIAC) and the Hong Kong International Arbitration Centre (HKIAC). International Arbitration award can be enforced through the New York Convention 1959 in countries recognized by the United Nations. Adhoc Arbitration: this is an arbitration proceeding that is not conducted under the rules of any arbitral institution. What type of disputes are arbitrable in Nigeria? In Nigeria, only commercial disputes are arbitrable. Under section 57 of the ACA, the interpretation section, ‘arbitration’ is described as “a commercial arbitration whether or not administered by a permanent arbitral institution” [italics mine]. The question then is what amounts to ‘commercial’ arbitration? In the same section, ‘commercial’ is defined to mean “all relationships of a commercial nature including any trade transaction for the supply or exchange of goods or services, distribution agreement, commercial representation or agency, factoring, leasing, construction of works, constructing, engineering licensing, investment, financing, banking, insurance, exploitation, agreement or concession, joint venture and other forms of industrial or business co-operation, carriage of goods or passengers by air, sea, rail, or road”. Though arbitration is a mode of ADR, in certain disputes, there is no alternative to litigation. Not all disputes are arbitrable. Such nonarbitrable disputes include criminal matters; civil matters involving interpretations of legal documents, emergency situations to preserve the res, where a national law expressly forbids any other means of resolving certain disputes except through the court. The main purposes of the restrictions above are public policy and constitutionalism. For instance, criminal matters are matters of the state involving a great dose of public policy. Also, the jurisdictions of courts as established by the Constitution of the Federal Republic of Nigeria 1999 (as amended) cannot be usurped through private arrangements between parties except by law. What are the qualities of a good ADR specialist or arbitrator? How can a young lawyer build a career in arbitration & ADR? Be Proactive: For me the easiest way of participating in arbitration and ADR is through appointment as an advocate for the parties in the dispute. Whenever you are briefed by a client to draft an agreement, always ensure that you insert a dispute-resolution clause or when a clients comes to brief you ask for the contract agreement and and look for the dispute-resolution clause. If there is none, you can draft a Submission Arbitration Agreement. Embrace Continuing Legal Education (CLE): Go for the various training programs and conferences available, including Arbitration Secretary/Registrar Training, Advocacy Training, and the Arbitrators training. Attend workshop series like the ones done by the Lagos Court of Arbitration, trainings by Chartered Institute of Arbitrators (CIArb), or International Chamber of Commerce Young Arbitrators Forum (ICC YAF), etc. Leverage Professional Memberships: Join and stay active in the branch or chapter of your professional affiliations..
Boost Your Visibility: Be visible through networking, volunteering, research & writing, etc. Network. Network.And Network: your first point of contact are the people you train with or attend programs with. Connect and try to keep in touch. Specialize: This may help you stand out from the crowd if you are able to achieve expertise and offer value. If you are lucky to work in a firm that specializes in arbitration and ADR, show great interest. I am sure with time your senior partner, principal, or group heads would notice you and may give you an opportunity to be an audience with the permission of the parties or you could even be appointed to act as a Registrar or Co-Counsel. Embrace Mentorship: Have a mentor or partake in mentorship programs. For example, I have been part of some mentorship programs organized by the Association of Young Arbitrators (AYA) and Institute of Transactional Arbitration (ITA). Be Strategic: Based on your goals in arbitration and ADR, look out for arbitral institutions you would someday want to work with or hope to be nominated by for future work eg LCIA, ICC, CIARB, Permanent Court of Arbitration (PCA), International Convention on the Settlement of Investment Disputes (ICSID), etc. Read. Read. And Read: Read relevant materials so you stay up to date with recent developments in arbitration & ADR by subscribing to relevant journals, newsletters, and even blogs. Improve and Update your Curriculum Vitae (CV) regularly: As you attend programs and join professional affiliations, update your CV and keep improving it based on your career goals. Acquire Communication Skills: Through self-education and continuing professional development (CPD), you should start developing your communication skills as a good arbitrator or even an an ADR specialist. You won’t go very far without it. Arbitration and ADR present immense career opportunities to lawyers—especially young lawyers looking to explore new ways of lawyering in today’s competitive, dynamic, and increasingly client-driven legal marketplace. Today’s clients need alternatives. Having an alternative to litigation continues to be in increasing demand. As an arbitration & ADR specialist, I realize that while other ADR mechanisms are more flexible, arbitration is less flexible and pretty formal. While other ADR mechanisms do not force decisions on parties, decisions are binding on the parties in arbitration. But however way you choose to resolve the dispute, always realize that in the world of arbitration and ADR, the principle of party autonomy—the freedom parties have to make certain decisions such as appointments of the arbitral panel, procedural laws, the issues/claim, the applicable law cannot be tampered with as parties have the freedom to make certain calls by determining the procedure to be followed—applies. You should therefore always look out for your client’s interest when this party freedom is to be exercised in a contract. Also, imbibe confidentiality. Whether as an arbitrator for parties or counsel for your client, learn to make confidentiality your watchword, especially as an arbitrator. Finally, as Mrs Funke Adekoya—one of Africa’s leading arbitration & ADR specialists—said in the ADR series held at the Lagos Court of Arbitration (LCA) November 2017, be patient; learn the ropes; and don’t forget your SELLING POINT—integrity. This is educating as it is enlightening. 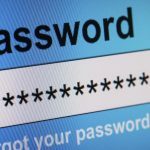 October 30, 2018 Day 30: Always prefer complicated passwords to simple ones. October 29, 2018 Day 29: Keep (your) kids away from danger online. Infusion Lawyers on Supreme Court of Nigeria goes ‘digital’. Oluwapelumi on Supreme Court of Nigeria goes ‘digital’.